With the declassifying of Cold War documents more and more astonishing facts are coming to light about this remarkable time on our planet. Berlin was a renowned hub of spy activity and even with all the books and movies out there nothing can prepare you for the real thing. Our Cold War tour covers all the main sights and goes in-depth on all the historical complexities and repercussions of this formidable time period. You will not only see and understand Checkpoint Charlie, the Berlin Wall and the Stasi terror system but our guides will immerse you in stories from the past which will give you a new understanding of the significance of the events. We will start with an overview of Germany’s rapid rise to power after the wars of unification culminating with the defeat of France in 1871 and cover all points leading up to the present day. 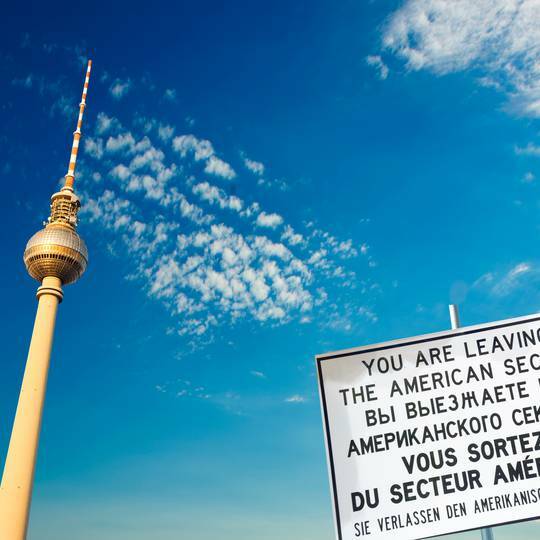 Some of the highlights include: Checkpoint Charlie and its unique role during the Cold War as well as the Berlin Wall and fearsome “death strip”. On this tour we also discuss the German Reunification of October of 1990 and Germany’s difficult path forward to reforming a national identity and its new role in Europe and the world.